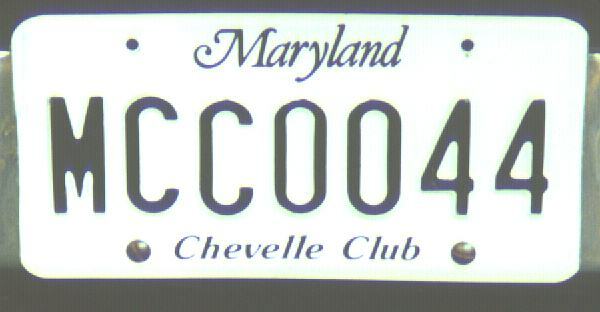 You must be a current member of the Maryland Chevelle Club. You must live in the state of Maryland. There is a one-time fee of $15.00; renewals are the same as regular tag fees. MCC tags can be put on any type of car or truck (under 10,000 pounds GVW). MCC tag numbers are assigned in consecutive order. There are NO exceptions, per the Maryland Motor Vehicle Administration. To get the MCC tags, Debra Radcliffe-Borsch to get the proper forms.